RAMC offers Russian and foreign motorists a full range of services at European standards available 24/7/365 at a fair price. The price for roadside rescue services (towing and road assistance and vehicle repair) in Russia depends on the type of vehicle, its weight, type of breakdown and remoteness of the place of breakdown from the nearest city where breakage or car accident occurred. For members (club cards owners), all services are provided for free. Engine start. Car batteries have an annoying habit of dying at the most inconvenient moments. Contact us - we’ll work out whether you need a jump start or a replacement battery, and send our mechanics to help. Locksmith service. This might also be called ‘emergency key service’ or something similar. It’s designed to assist you if your car key is stolen, lost or you’ve locked it in the car. Flat tyre. There are all sorts of situations in which you might need help to change a flat tyre. These can include safety reasons or physical incapacity. Mechanical breakdowns. There was a time when we could perform a fair amount of DIY work on a vehicle when it broke down. Today’s more complex engine systems and intricate electronics mean that it’s often better to call in a professional to assess the problem. Our technicians will have a look at your car and, where possible, make minor repairs. If the problem is more serious, we’ll organise a tow. Towing in case of accident or mechanical breakdowns. Legal advice in case of car accident. At the RAMC, we do care, that’s why we fix 7/10 cars on the roadside! RAMC provides roadside assistance for owners of cars, buses and trucks up to 3500 kg. Free service zones for RAMC members depends on the type of membership program. Please learn more about membership programs here. Russian AutoMotoClub is a subsidiary company of ARC Eupope Group , which is the largest supplier of roadside assistance services in Europe with an outstanding network in more than 40 European countries. Our network acts as one group for operations, powered by the best-in class automobile clubs and assistance partners. Arc Europe is a group with a Group with a unique vision, 8 Shareholders leading their local market, and 42 Partners to propose a full European coverage. You might know our chairholders and partners as ADAC in Germany, AA in Great Britain, Touring in Belgium, ACI in Italy, Starter 24 in Poland, Autolitto in Finland etc. 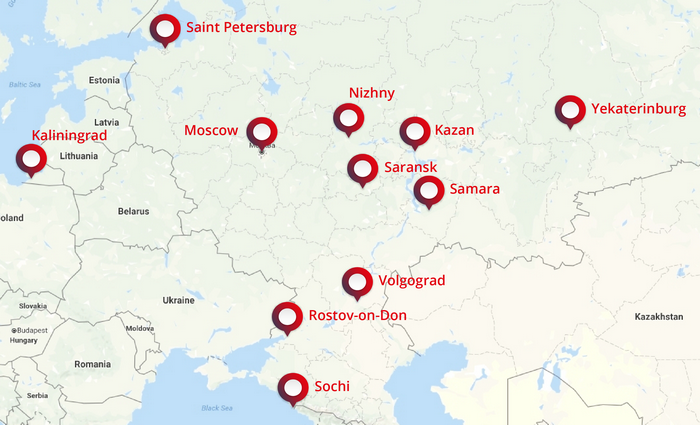 If you are a member of one of this club, please call your club in advance to find out about service in Russia – some clubs can include Russian coverage in your membership for a very low price. Find out more about our network on the Arc Europe Group website.